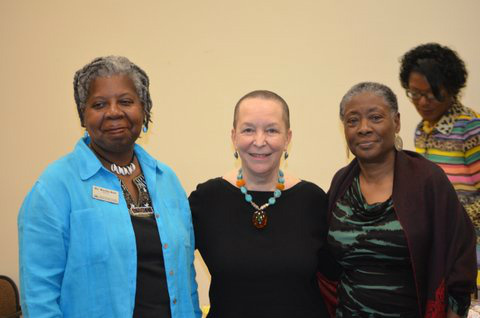 With Pearl Cleage at the Oxon Hill Library as she read from and discussed her new book, "Things I Should Have Told My Daughter". 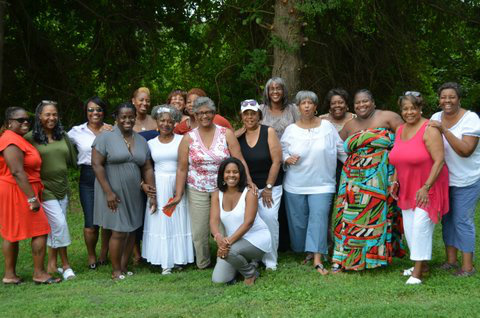 The wonderful women of the Just Want to Get Away Retreat! The First Sunday Book Club at the book reading & signing for Pamela Samuels-Young at the Elite Boutique in Bowie, MD on September 28, 2013. 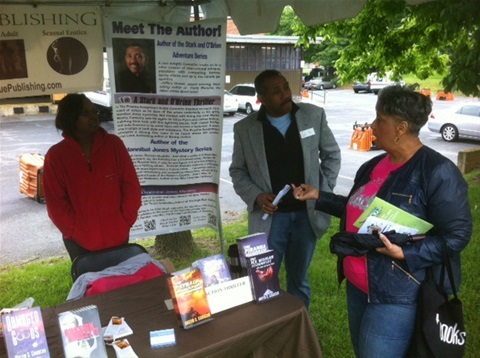 Sharon Lucas chatting with authors Austin Camacho and B. Swangin Webster at the Gaitherburg Book Festival. 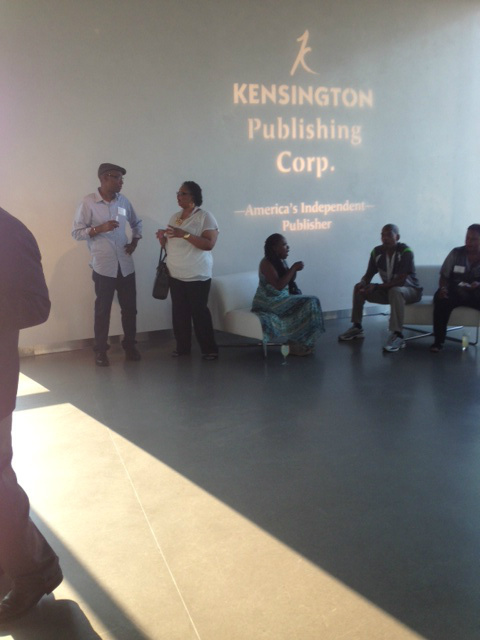 Kensington Party during BEA - great networking opportunity. 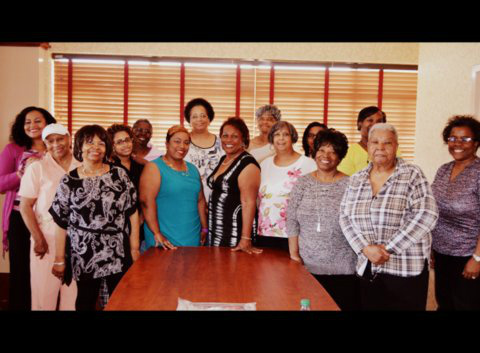 Author - Cerece Rennie Murphy - at her first book club visit - July 13, 2013. 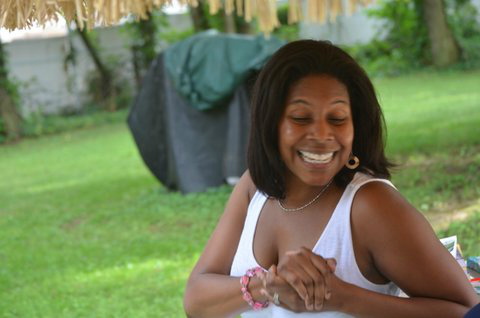 She was awesome! 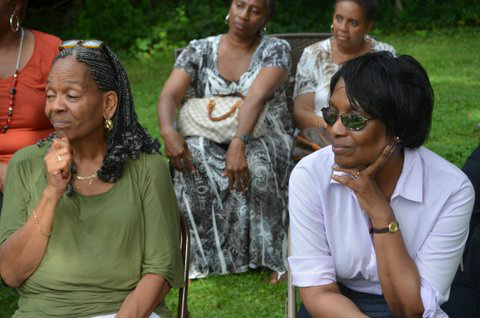 Members of the Page Turners of Baltimore and the PC Sisters book clubs listening to Cerece. 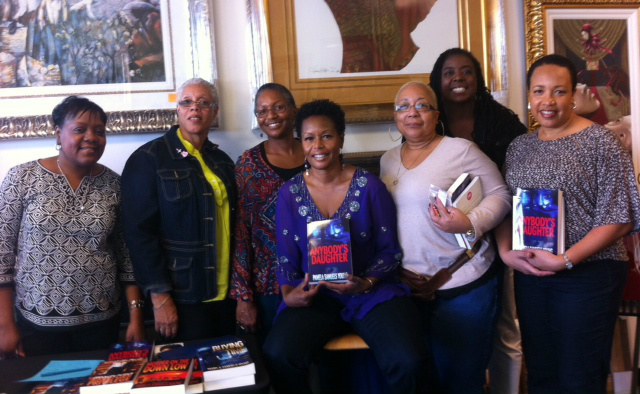 What a wonderful day of sharing - The Reading Divas, Sugar & Spice, Page Turners of Baltimore, and PC Sisters books clubs. 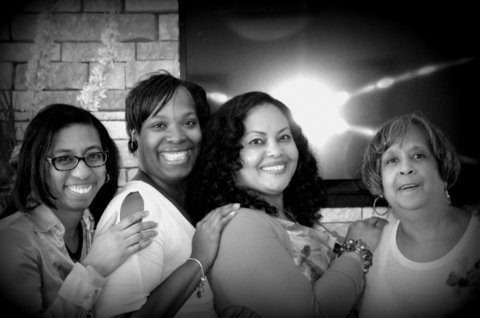 We enjoyed good food, good drink, and an awesome discussion of "The Order of the Seers" the debut novel written by Cerece Rennie Murphy. 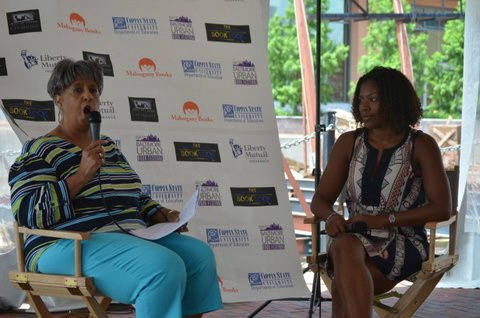 Sharon Lucas of The Reading Divas, interviewing Sadeqa Johnson, author of "Love in a Carry On Bag" and recent winner of the Phyllis Wheatley Award. Monda Webb and other contributors during the spoken word/poetry section of the Baltimore Urban Book Festival. They were terrific! 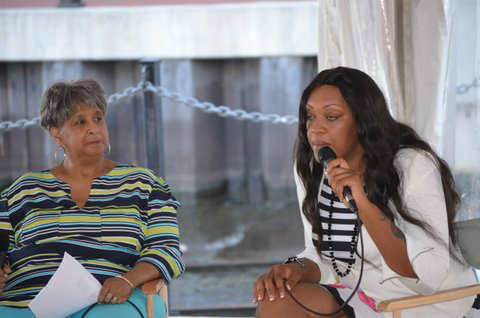 A truly enlightening interview with author Angela Stanton, author of "Life Beyond These Walls" and the riveting "Lies of a Real Housewife: Tell the Truth and Shame the Devil". 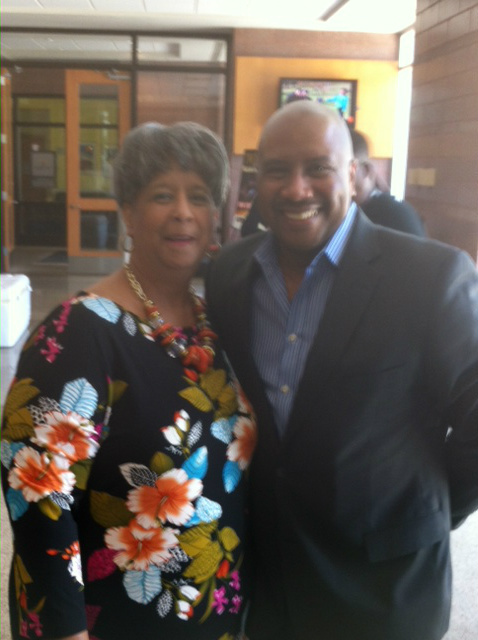 Sharon with Harold T. Fisher, WHUR on air personality - "The Daily Drum" and author of "Two Weeks Until the Rest of My Life". 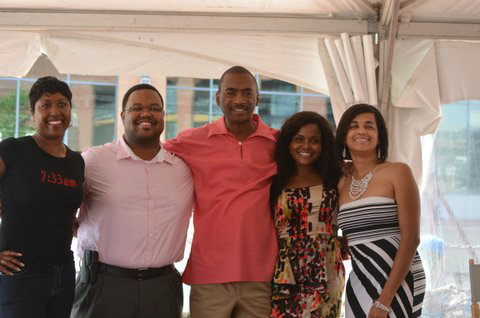 This picture was taken at The Arc in SE, DC where the stage play, based on Harold's novel, was presented. An adult, very enjoyable book and play! 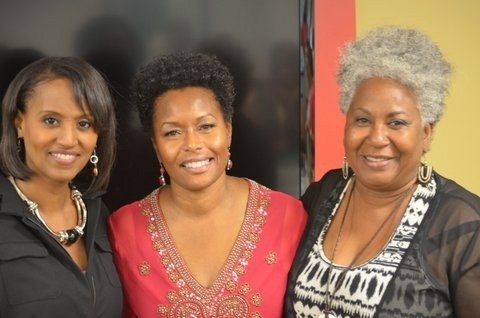 At WXIA TV station in Atlanta at book signing for Pamela Samuels Young. 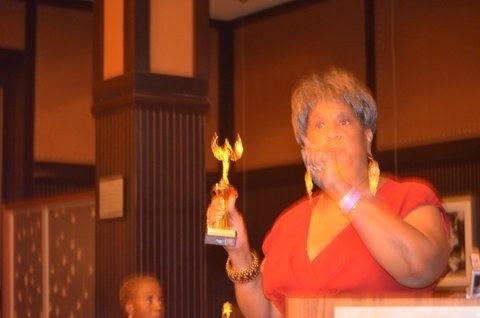 Great event. 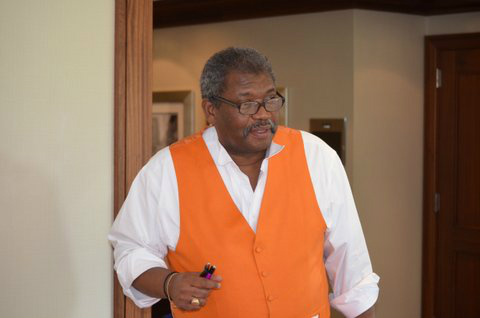 The incomparable Otis Taylor of Baltimore as he does his thing at the National Book Club Conference in Atlanta. Otis is definitely the best vendor hands down! Saturday Night Banquet during the National Book Club Conference - Sharon Lucas was presented an award for her essay on "Why Your Book Club is Important to You" by the Curtis Bunn founder and organizer of this great event! 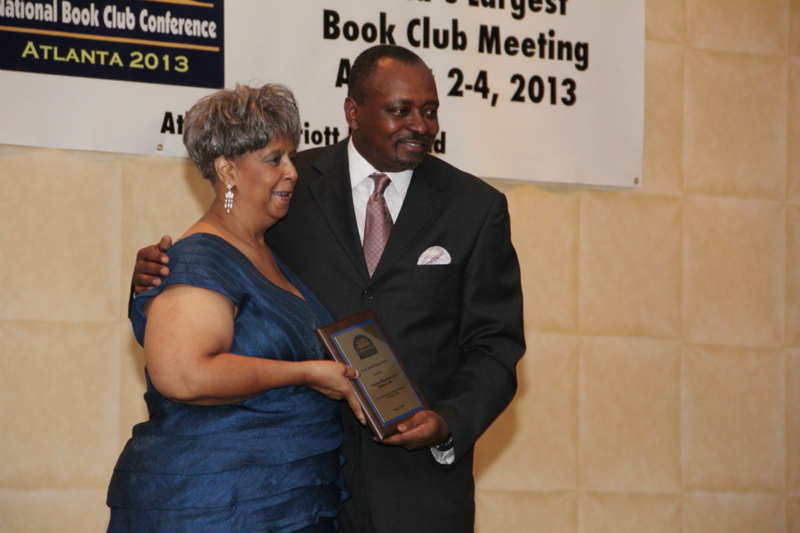 What a wonderful moment during Ella Curry's 2013 Chocolate Social in Altanta, Georgia when Sharon was awarded a 2013 Black Pearls Award for Literary Excellence.